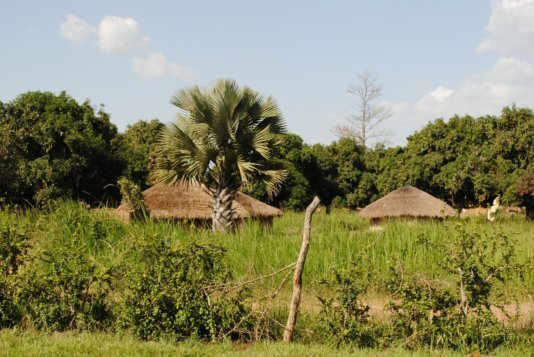 After more than twenty years of war, finally peace came to northern Uganda. The former child soldiers have returned to their families. But normality is still far away for the heavily traumatized people. He prepared the meeting under the big mango tree, a little off the group, out of earshot, Paul Rubangakene says. The group, which are participants in a Caritas workshop in Opit, a village on the outskirts of Gulu, the largest city in northern Uganda. Back there, in the shadow of the tree, they wait: David, Richard, Filda, Margret and Maurice. They don't want to tell their surnames, and they don't want to be photographed: They are afraid for their safety, fearing reprisals, if someone finds out that they are former child soldiers. Later, on the way back to Gulu, Paul explains his precautions. "We have a lot of problems in northern Uganda," he says, "and the mistrust is perhaps the greatest of all. The people mistrust the authorities, the police, the government in Kampala anyway. But most of all they distrust each other." He knows what he's talking about. 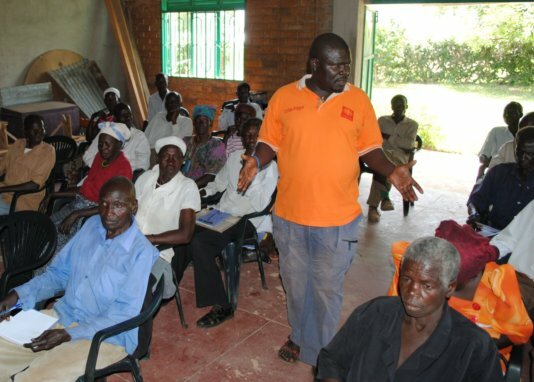 Paul is a social worker for Caritas in Gulu. Since 1999 he takes care of the returning child soldiers who were rescued by the army or were able to free themselves. To stabilize these severely traumatized youngsters is one part of his work, Paul exlpains; the second part is the reintegration into their families and communities. Up here in the north there is virtually no family who have lost no relatives during the war. If returning children report what happened, the neighbors are curious and hoping for information on the whereabouts of their relatives. Then sometimes rumors are enough, just a snapped-up name, to entice the neighbors to acts of revenge. What the five kids under the mango tree have to tell is similar to the experiences reported by most of the former child soldiers, that were captured by the LRA, the "the Lord's Resistance Army", and its infamous leader Joseph Kony. After they were abducted by the rebels, they had to return to their villages to spread fear and pain. Margret, twelve years of age at that time, was given to a rebel commander as a "wife", when she was abducted, and got a child from him. Six years later, with her then two years old son, she managed to escape. David, the eldest of the group, said that they all could escape when their rebel groups got into fights with the Ugandan army. Richard, Maurice and he himself have suffered gunshot wounds, which is why they were first taken to an army hospital, and then came to Caritas' Reception and Rehabilitation Center near the town of Kitgum. In today's Uganda, people's hopes for peace and a life without fear of armed attacks has become reality. Other hopes remain unfulfilled until today, especially with regard to the standard of living. Of the 35 million Ugandans, according to a recent study by the FAO, more than twelve million remain under- or malnourished. 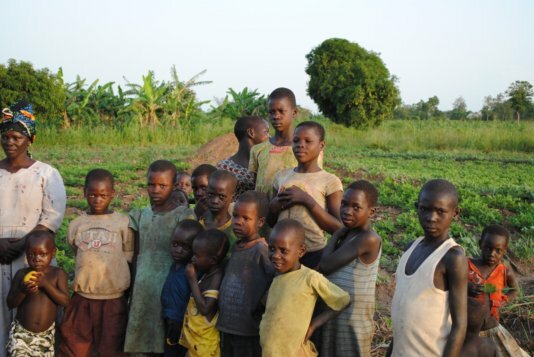 Up to 70,000 children are estimated to being kidnapped by the LRA rebels. All these young people who were abducted during the twenty-one years lasting war and were abused as child soldiers, now just want to live a normal life like anyone else. But that's not as easy as it may sound. 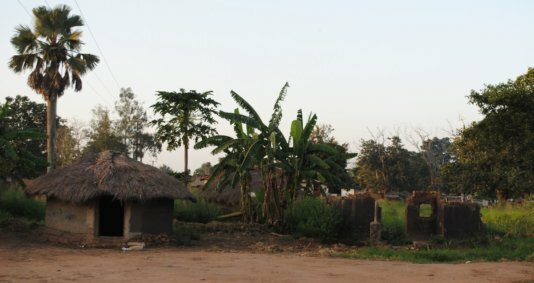 "Without including the communities in the villages, without preparing them for the return of former child soldiers, reintegration can not succeed," Paul claims. “Many people are superstitious; they believe that these children were possessed by evil spirits. Others still see them as ticking time bombs that could go off any time and commit atrocities again. So it is particularly important to include traditional rituals of the Acholi people of northern Uganda. The Acholi culture fortunately is rich in rituals of cleansing and forgiveness." Nevertheless, the five youngsters under the mango tree report that they've experienced exclusion and stigmatization, when they came back into their villages. "We are expected to remain silent about our past," David says, "because our families are afraid of reprisals of the neighbors." And if there is a dispute, Maurice added, their arguments are being dismissed assuming there is still rebel blood in their veins.